Most people think it’s difficult to gain weight fast. They assume they have to gorge themselves on a ridiculous amount of food, which leaves them feeling miserable by the end of the day. Then they quit. There is a better way though. Milk helps you gain weight when it contributes to a calorie intake greater than what you burn in a day. A 2005 study published in the Archives of Pediatric and Adolescent Medicine showed that extra calories in the form of three or more servings of milk contributed to weight gain in children aged 9 to 14. The extra calories were responsible for the children’s increase in body mass index, not any particular qualities in the milk. An 8-ounce serving of 2-percent milk contains122 calories. 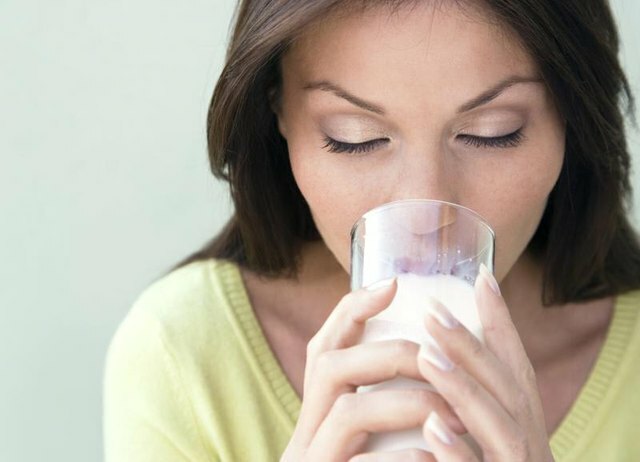 To use milk before bed to boost your daily intake by 500 calories and gain 1 pound per week, you’d have to drink between 4 and 5 cups every evening. Boost the calorie content by mixing each glass of milk with nonfat dry milk powder — a 1/4 cup adds another 109 calories — and make 1 cup equal to around 230 calories.